Im brand new to the forum and im hoping to get some valuable advice from everybody. I have an alcove in my bathroom which currently has my bathroom sink in it, im planning to move the sink and install a shower cubicle. I am a total beginner to anything "building" wise but im confident with the right advice im more than capable of doing it. I have a series of questions that im gonna ask one at a time so i can be 100% sure im getting this correct the first time and that i dont floor my house. I will be moving the sink to where the white cabinet is (the one with the green towells ontop). Would i be able to use the existing pipes that the sink uses for the new shower, and then tap into the pipes to create supply to where im going to put the sink in its new position. 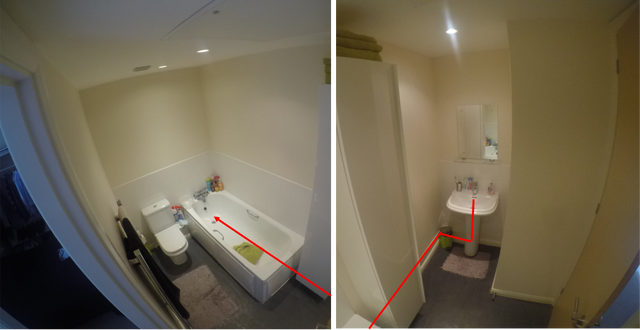 one other consideration is the downlighter over where the proposed shower will be. might need changing to selv IP rated fitting. Iv researched and with a riser kit for the shower tray to make the tray higher, it would have similar fall to the sink. RE the light i have already sourced a waterproof bathroom DU10 style fitting for that area. Just wanted to check that tapping into an existing water pipe was ok. The basin will need an anti-syphon bottle trap assuming the shower/basin/bath are all connected to the same waste pipe.